Make the Bible easy to understand, enjoy, and remember. 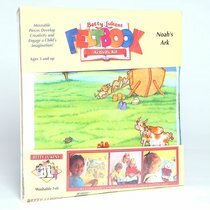 These brightly coloured seven page felt books are ideal introductions to Bible stories for young children. Each one measures approx 19cm x 26.5cm. About "Lukens Felt Book 07: Noah's Ark"